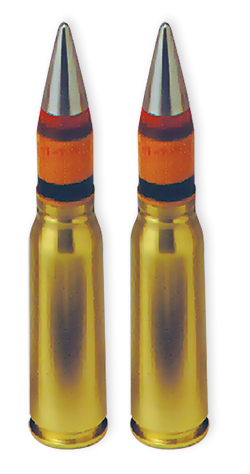 The 20mm M940 Multipurpose Tracer-Self Destruct (MPT-SD) combines a light armor and high-explosive capability into a single round for improved lethality on all targets. Developed and qualified for use in the M163 self-propelled and M167 towed VADS and PIVADS (Product Improved Vulcan Air Defense Systems). Provides maximum terminal effects on target with demonstrated reliability of function at range.